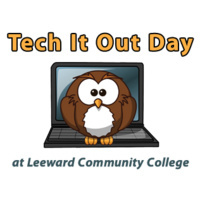 Join us at Tech It Out Day to explore how technology can enhance teaching and learning in the classroom and online. "Test drive" a variety of technology tools, network with your peers, and celebrate the start of a new semester with food and drink. This event is open to the Leeward CC `ohana. Registration (by Sun. 8/12) is required to attend.